Choosing the “Best Salmon Fly Rods” for Salmon fly fishing is like picking out the best eating utensil. A different tool will be needed for different situations. These situations vary widely so there is a wide range of Salmon fly rods for Salmon fishing that will be better at times than others. The size of fish is the biggest variable, but there are others that you will want to take into account before you invest in a freshwater or saltwater fly rod. 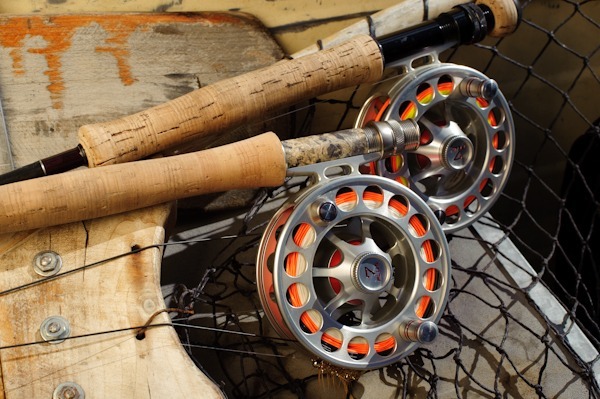 What is difference between a Saltwater and Freshwater Fly Rod? Before you choose what will be the best saltwater fly rod for your adventures, it is good to know the differences between a saltwater and a freshwater (standard) fly rod. First of all, both will work in either situation as long as it is designed for the size of fish you are after. One thing that is for sure is that you do not want to be under rodded ever, especially when saltwater fly fishing. Typically, pound for pound, saltwater fish fight much harder than freshwater fish. I have caught 2 pound saltwater fish that fought as hard as a 10 pound Rainbow Trout. So when in doubt, go with a heavier weight rod. Wind: saltwater Salmon fly rods are built to combat the wind that is almost always prevalent when Salmon fishing in saltwater. Distance: Fast action rods will deliver the most power to the line resulting in a further cast than with softer rods. Flies: In most saltwater Salmon fly fishing situations, you will not be casting small bugs to rising fish. Usually you will be casting heavy, wind catching bait fish imitations that are hard to cast. That is when a stiff, fast action rod will help you pick that fly up out of the water and then cast it out a long ways. With a soft rod, you will struggle to get it out of the water without stripping in a bunch of line, and then try to cast it! Line: A common scenario when saltwater Salmon fishing is using sink tips to get the fly to the fish. Sinking line is much harder to cast than floating, therefore the fast action. You are probably thinking these aspects are what you would like in a freshwater rod. And yes, most saltwater rods make great freshwater rods for big fish. 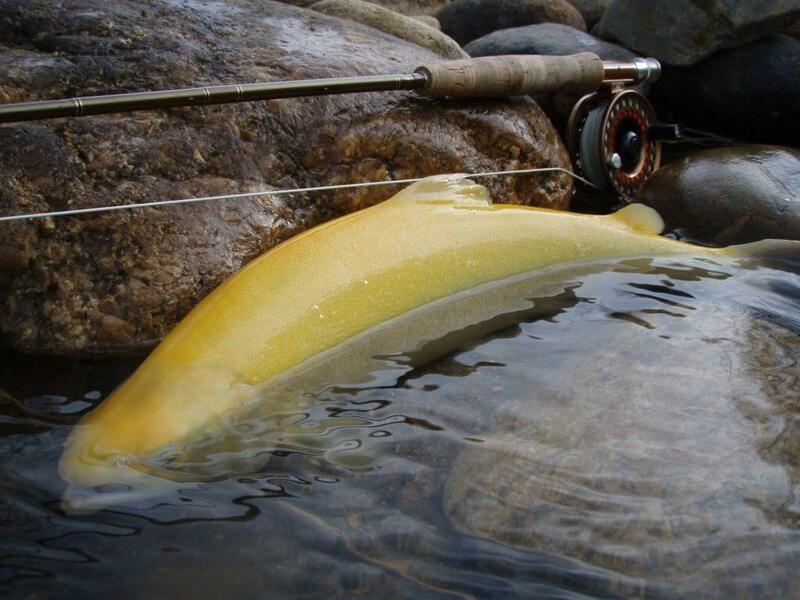 Unfortunately many freshwater rods are not designed for what you will be faced with in the saltwater. So if you are looking for a rod that will excel in both fresh and salt water, then stick with a fast action or one that is designed for saltwater. The best saltwater fly rod is determined by the size of fish you are after. As mentioned earlier, saltwater fish tend to fight with a vengeance. Therefore it is wise to go with a heavier weight rod. For the most part, an 8wt (weight) is probably about as low as you will go. 14wt: Tarpon, Sailfish, Marlin, and Shark. 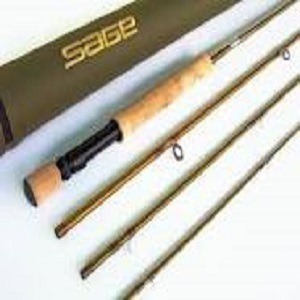 In order for a rod to be the best saltwater fly rod, it must be good quality. Just as important though, it must fit into your budget. 1. Go with the best salmon fly rods you can afford. 2. Stick with the salmon fly rods that offer an unconditional lifetime warranty. For the most part, you will have to spend at least $200 to get a rod with a lifetime warranty, but trust me, it is worth it. We all break rods sooner than later, so you might as well make this an investment for a life time. Plus, you will regret buying anything less than the quality of rod that is warranted, especially when casting to and fighting fish in saltwater. All the rod makers are very good with their warranties, and some even offer programs where you have a new rod in as little as a few days after a break. Salmon fly rods for Saltwater is a must have in your fly fishing rod inventory.